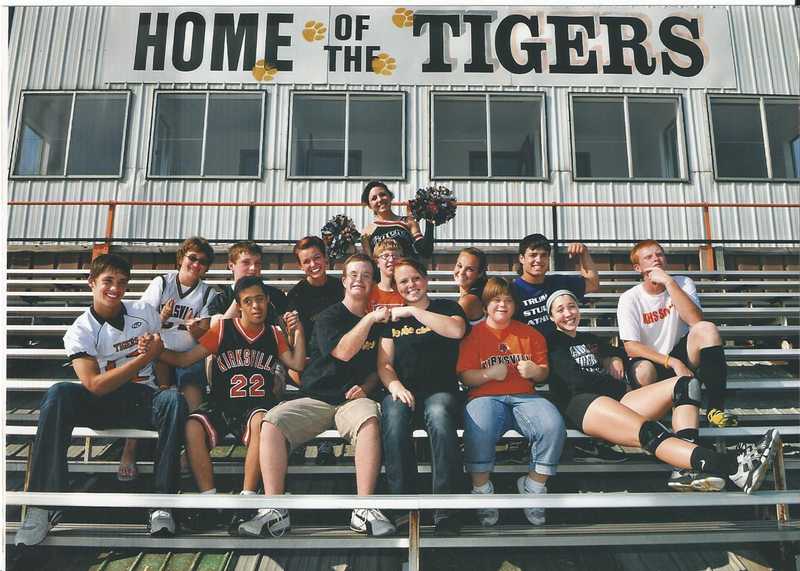 The Missouri Association of Student Councils (MASC) chose Special Olympics Missouri (SOMO) as their charity of choice 24 years ago. 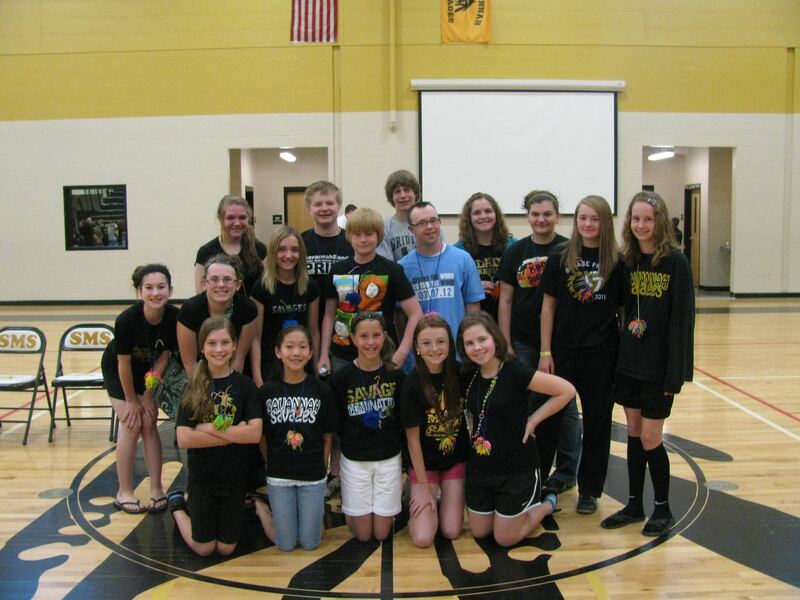 Since that time, they have been raising funds and awareness in junior high and high schools across the state. Member schools are encouraged to assist with Special Olympics events in their areas. Many of the schools host events, volunteer at events, do fundraisers, participate in the Spread the Word to End the Word campaign and take the Plunge. The students volunteer an average of 12,000 a year, equating to 288,000 hours they have given to Special Olympics Missouri in 24 years. The students learn the importance of serving others and their commitment to SOMO extends beyond high school graduation. 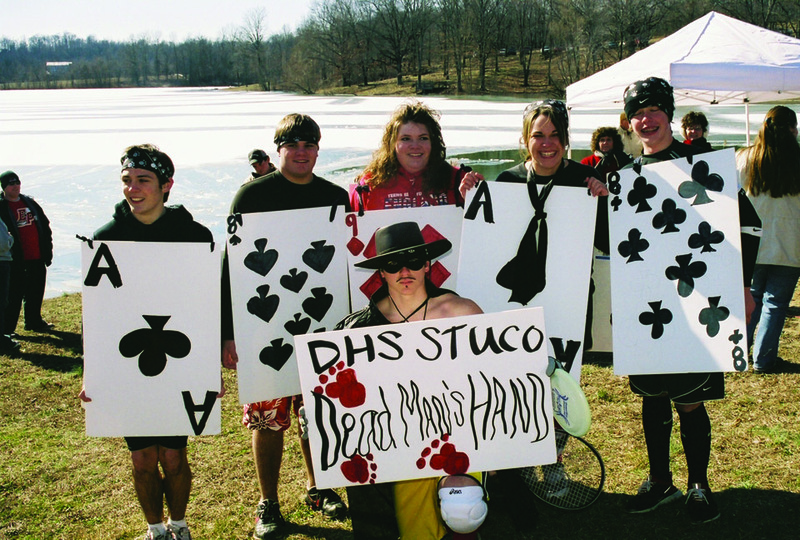 In 2009, MASC stepped up the commitment and really promoted the Polar Plunge. That year, 700 youth raised more than $99,000. The momentum they have generated since 2009 has resulted in a grand total of $624,888.33 being raised just through the Polar Plunge. This amount does not include all the other fundraising the individual schools do throughout the year. MASC promotes and teaches acceptance, respect and inclusion for all. 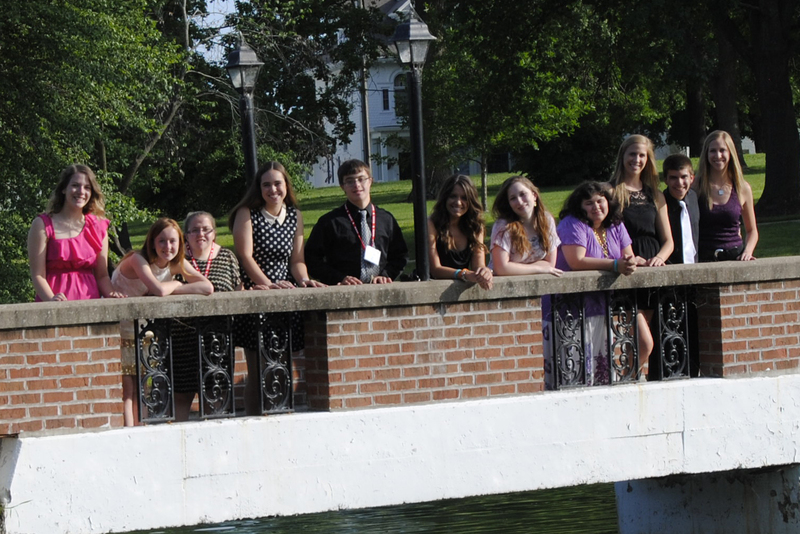 Our athletes are included in the MASC Summer Leadership Workshop where they work side by side with their peers developing their leadership skills, confidence and building a bridge of acceptance and change for all. The interaction between the youth leaders and the athletes is amazing! Athletes grow from timid, unsure individuals to outgoing, confident leaders who are ready to get involved with their student council as representatives, run for office and plan school activities. Youth leaders learn to embrace individual differences and the value of inclusion. MASC received the 2013 Special Olympics Missouri Award of Excellence. This is the highest honor the board bestows on an individual or organization for their years of service and impact on the SOMO program. Special Olympics Missouri is lucky to have found a true friend in the Missouri Association of Student Councils. They are educating the leaders of our future to be agents of change, fostering respect and dignity through service to others. If you know of a school that would be interested in being a member of MASC, visit their website at www.masc1.org. 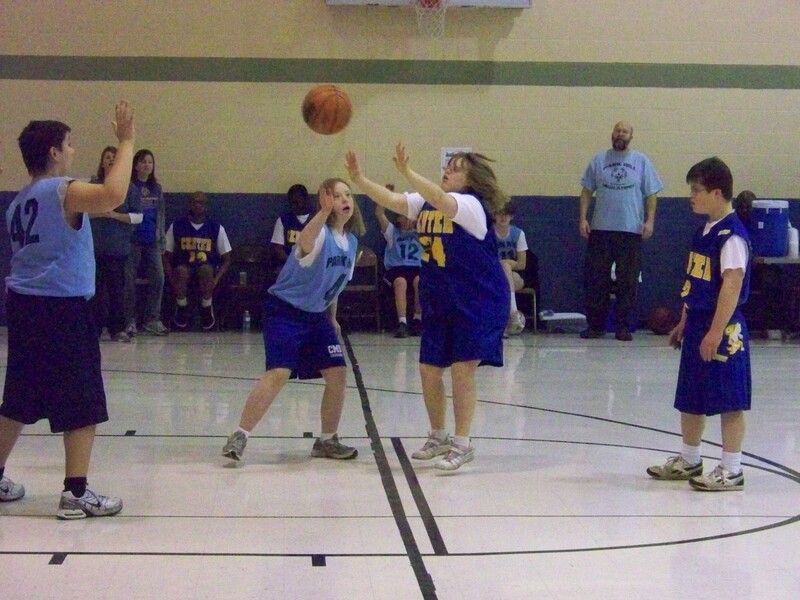 Special Olympics runs in the family for the Langs of Dittmer, 30 miles southwest of St. Louis. Amanda, 21, plays as a Unified Partner with her brother Alex, 16. 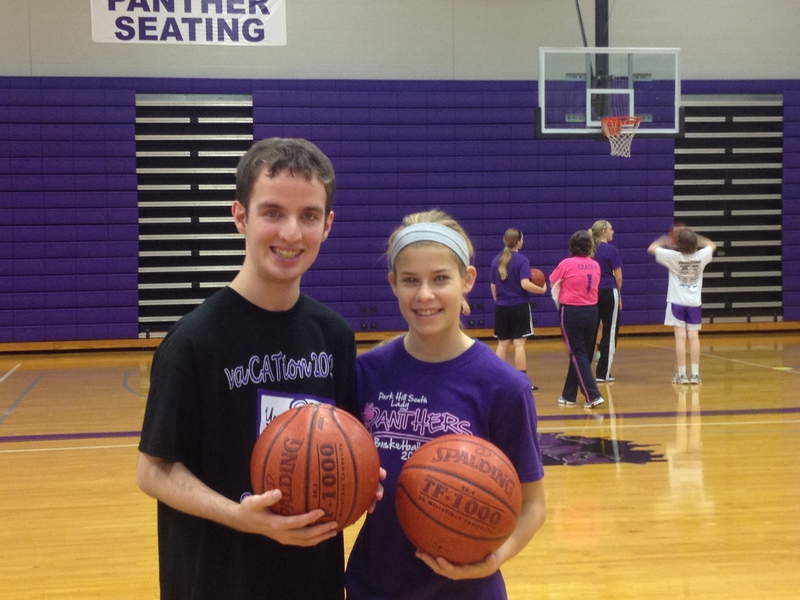 Amanda and Alex have been involved with Special Olympics for five years through NextStep for Life. Their mother also helps coach for the agency. Experiencing such a powerful moment, Amanda decided to change educational and career paths to continue involvement. “I transferred to Missouri State University and declared a double major in psychology and gerontology”, said Amanda. Her eventual goal is to work for an agency similar to NextStep for Life as a Recreation Coordinator. 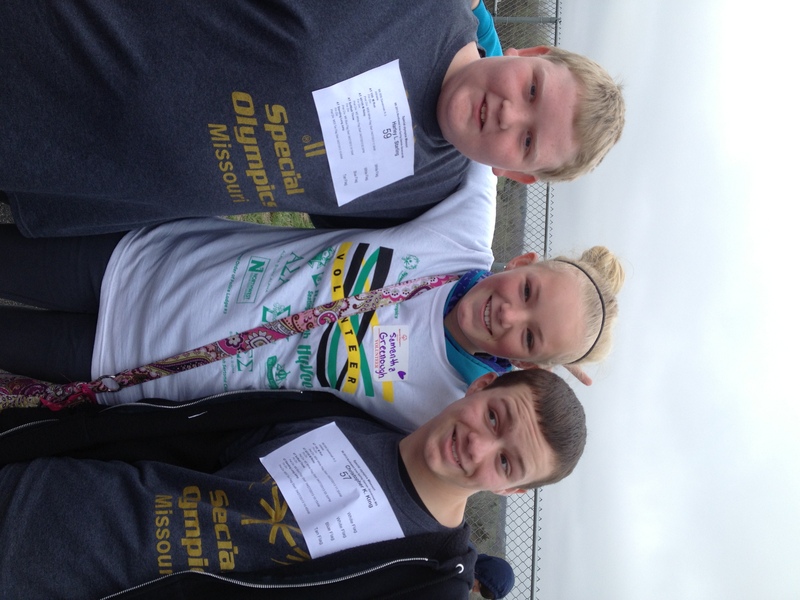 What is your Special Olympics Missouri experience? 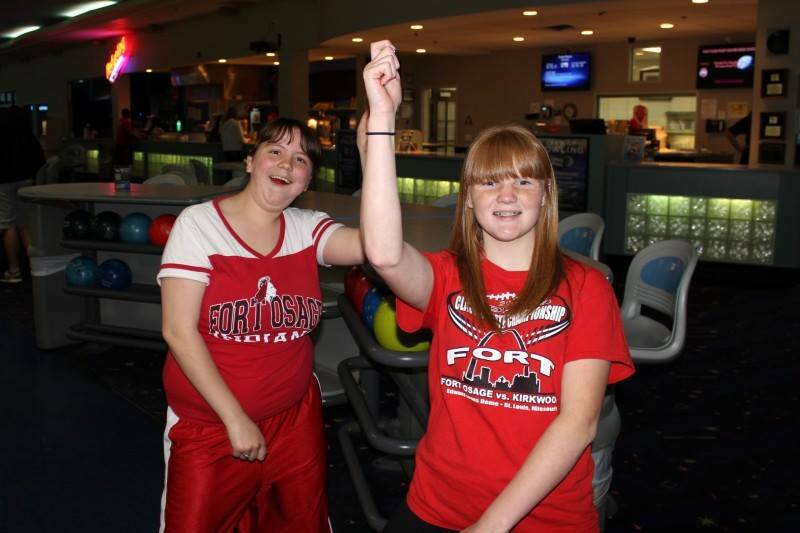 How has Special Olympics Missouri impacted your life? Visit http://www.somo.org/mystory to tell us! This is the first in a series of stories compiled by Special Olympics Missouri to highlight those people within the organization who are doing great things. The Special Olympics Missourian of the Month will highlight an athlete, coach, family or volunteer who the SOMO staff members believe embody what the mission is all about. This month, the Central Area has singled out athlete Justin Baker of Bunceton as the October Special Olympics Missourian of the Month. Athletes aren’t supposed to be artistic. Artists aren’t supposed to be athletic. Individuals with intellectual disabilities aren’t supposed to be good at anything. Justin Baker defies the traditional narrative. Justin Baker waves to the camera at the 2013 Central Area Spring Games Track and Field competition. At 26 years old, Baker is one of the most competitive athletes in the whole Central Area. Sure, most Special Olympics Missouri athletes are competitive by nature, but according to his coach, Lori Woods, Baker takes it to another level. Judy Baker, Justin’s grandmother with whom he lives, said that competitive spirit has really been stoked and enhanced by participating in Special Olympics Missouri. But as competitive as Baker is, those around him say that he doesn’t let that affect his attitude toward other people. Woods, Baker’s coach of more than 10 years, said he relishes the fact that his peers look up to him. Baker, second from left, enjoys the company of his co-workers while at work at Unlimited Opportunities Inc. Baker, 26, has worked in the recycling department there since he graduated from high school. That lead-first attitude is also on display at Unlimited Opportunities Inc., where Baker worked part-time for a number of years before graduating from Bunceton High School. He has since taken a full-time job in the recycling department where Recycling Manager Kit Brewer has had the opportunity to work with Baker. “He’s just a very happy-go-lucky guy. He’s a really hard worker,” Brewer said. “He’s a guy that likes to work on all of our different processing lines and he’s certified on nearly every machine. Another way SOMO has helped Baker blossom is through trying new and exciting things even those closest to him are surprised he’d try. 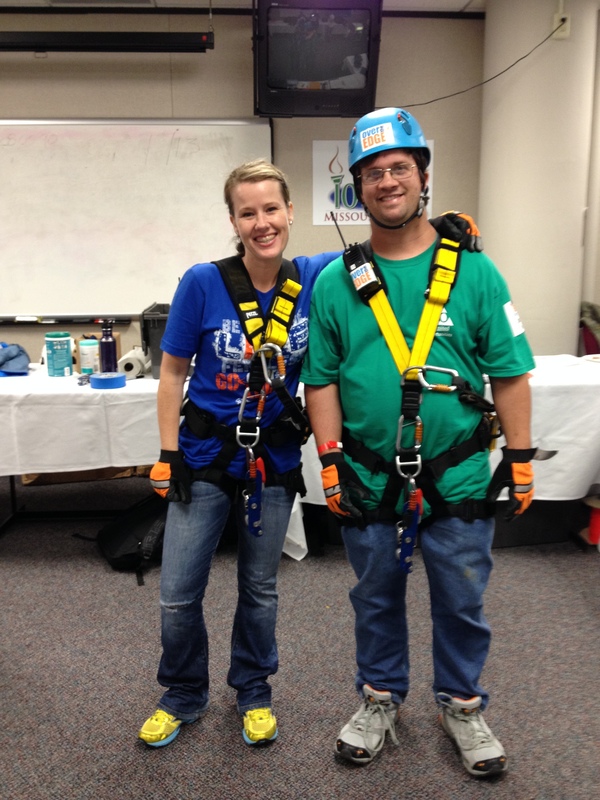 Baker poses for a photo with SOMO Partnership Manager Stacy Jones on Oct. 12 while at the Over the Edge event in Jefferson City. Baker spent his day off rappelling down the Jefferson State Office Building in Jefferson City Oct. 12 as part of the SOMO fundraiser with Over the Edge. All of the money raised directly supported other SOMO athletes. Of everything that Baker has accomplished, Judy and the Baker family are most impressed with how helpful and outgoing Justin has become. In addition to excelling at sports such as bowling and track and field, Baker is a rather accomplished artist as well. Brewer said Baker will often bring in some of his sketches to share with his co-workers. “He also really enjoys writing poetry and song lyrics. It’s nice to see how he likes to write poetry and song lyrics. He’s a very talented guy,” Brewer said. It’s not easy on the person doing the growing nor is it easy on the family dealing with said person. 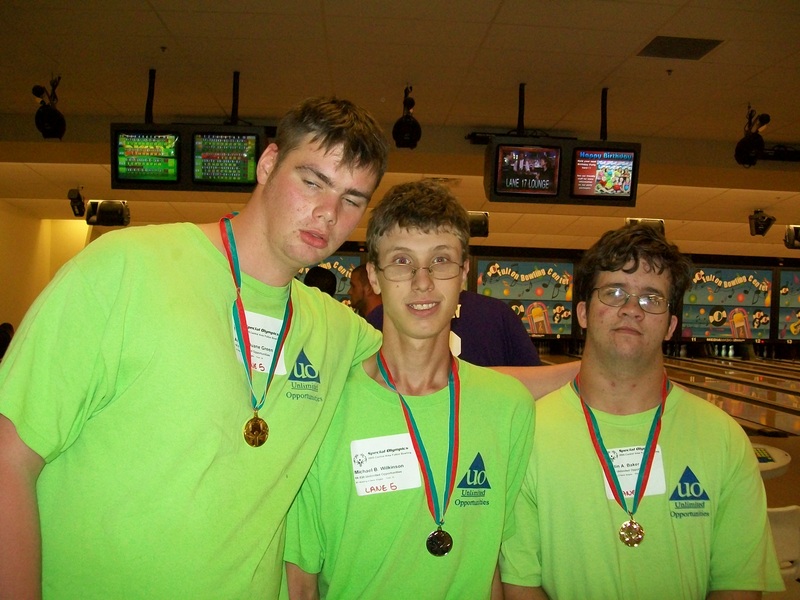 Baker, far right, poses for a photo with his fellow bowling teammates at a competition in 2008. Since Baker started participating in Special Olympics Missouri more than 10 years ago, Judy said she’s seen a transition in him that was helped along because of SOMO. One such recent instance of having to grow up is that Baker has been working for several years toward getting his driver’s license. “He had a hard time getting his driver’s permit, but he finally got that and we’re going for the license now,” Judy said. “He drives with me on his way to and from work every day. Judy said it hasn’t always been easy though. “It’s sad that the circumstances he’s in, but we make the best of it,” she said. “He has his days sometimes, but we’ll let him know what he did wrong and talk to him about why he did this or said that; we talk it out. Judy said having such a close-knit family really helps. The driver’s license will be one big step toward independence, but Judy said the biggest step for Baker could be right around the corner. “He is looking forward to the day where he can get his own car and be off on his own,” she said. “That day might be coming sooner rather than later. That growth and maturity has also been seen by Brewer at work. “Justin is still growing now. He’s a young guy and his personality and maturity level are still forming,” Brewer said. Woods who, in addition to being his coach, is also the human resources manager at Baker’s work, said he takes his job very seriously; that wasn’t always the case though. “He was in our children’s program when he was younger… he was kind of rambunctious as a kid, but he’s grown up so fast and now he’s a very dedicated person,” Woods said. Judy said having a job has really brought the best out of Baker as well. From talking to Brewer, that respect goes both ways. “I just hope that everybody knows what an effervescent personality he has. He always has a smile from ear to ear every time you see him,” Brewer said. “Not that he doesn’t take what he does seriously, but he’s just a happy guy. “Everybody here on the crew enjoys having him around and we can count on him to keep that attitude up. That’s probably why someone nominated him (for the Special Olympics Missourian of the Month). Today’s theme was “Meet the Crew.” After getting adjusted into their councils and getting to know everyone, the athletes did not take very long to send the chaperones away. They learned much about setting goals today and even had to set some their selves. Matt Z. is going to be president and with all the friends he has made so far, I am sure he can get enough votes. Matt. Z and Matt C. are returning campers this year and are doing a great job of being leaders and helping out. Isabelle decided after the pep rally today that camp was pretty cool. Mystie, Morgan and Crystal are very social butterflies and were making many new friends during rec time. I think Dustin and Sabrina are enjoying their level 1 experience as well. After dinner, the campers got to compete in their very own Olympics. They decked out in their teams’ colors with faces painted and competed in games. Brittany, Andrea and I are returning chaperones this year. Morgan S. has been here before but she and SOMO staff, Aimee, get to experience camp for the first time this year as chaperones. All of us chaperones are loving the athletes so much! It was a very long but great first day! Looking forward to the rest of the week. Day 2 here at MASC Camp! I think your campers were a little tired today. This morning we listened to a great presentation by SOMO YAC president and JC, Whitney. 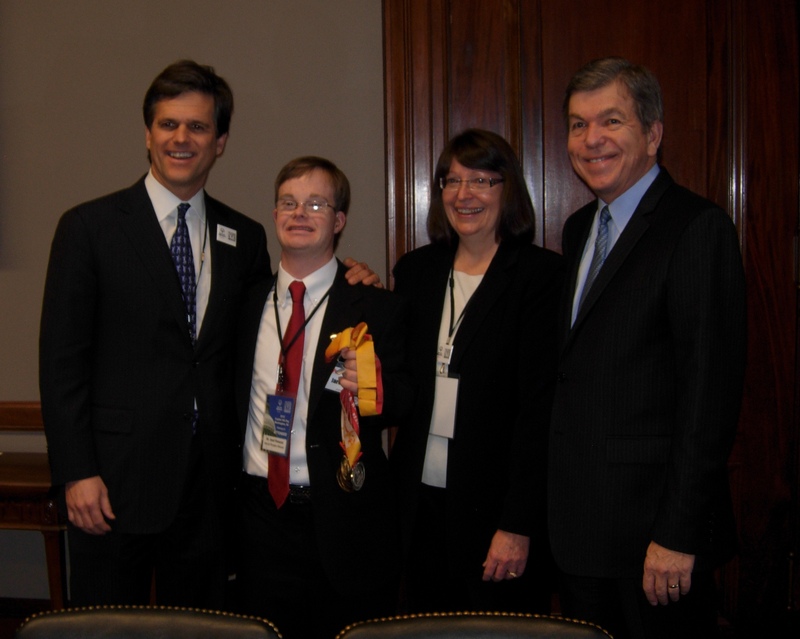 MASC was announced as a new partner of Special Olympics Missouri as well. Then they spent the afternoon project planning and working on a song for songfest. Each year the campers get more creative and this year was no exception. I am pretty sure I caught almost each of them dancing on stage. Yes even quiet Isabelle and Dustin were dancing with their councils. The athletes continue to make friends and almost all of them have decided they don’t need the chaperones around. Its been another fabulous day. Day 3 here at MASC Camp! If we thought we were tired yesterday, that was nothing compared to today. It was a long day, but I think the athletes had a blast. This morning, Marty talked to the campers about gusto. He really inspired everyone to put their heart in to what they do and have spirit. The campers went through workshops and then spent much of the afternoon at the park doing team building exercises. I am very proud of all them. In one of the exercises, the camper would fall back to their council and the rest of their council would lift them up. Each of them did it. I even did it and it was scary. It was very hot out today and they kept going all afternoon. We came back for the duck race. All the money raised from the duck race goes toward Special Olympics. Matt C. got to pick out the winning duck. Then each of the councils went around and did a fans in the stands cheer for Special Olympics which were really cute. They finished of their evening with the street dance. Most all of the athletes danced and some watched Wreck It Ralph. Matt Z. and Isabelle owned the dance floor. Morgan, Mystie, Matt C. and Crystal hung out with their councils all evening so we barely saw them but could always tell they were having a blast. We have a great group and the athletes are having the time of their lives! Day 4 here at MASC Camp! It’s the end of the last full day in Fulton. You should probably expect some crying campers tomorrow as it will me emotional when they say their goodbyes. We started day 4 off great with a Flag Day presentation by Marty. He gave us some enlightening history on our nation and made each camper feel proud to be an American. They showed the video that level 2 made this week. Their challenge was to create a flag on the wall out of cut out hands and they succeeded. In the afternoon, the campers listened to Karen talk about “warm fuzzies.” They were then given a yarn necklace with a ball of yarn pieces at the end of it. They would go around and say one nice thing to people and tie one of their pieces of yarn on to the other person’s necklace. This struck some hearts and there were happy tears as it hit that today was their last day with their new friends. They spent the rest of the afternoon preparing for the banquet tonight, decorating and prepping a little speech/skit to give the rest of the camp. They all got dressed up and we took some pictures together. Then they headed off with their councils to eat at the banquet. After many pictures with their friends, they gathered in the dome for the councils presentations. They were all given glow sticks in red, white and blue. Then, they headed out to the pond to end the night together, reflecting on their amazing MASC experience. I know they have all learned many life lessons this week and have become better leaders. I’ll be sad to say goodbye tomorrow to them. I won’t be saying goodbye to Morgan C. and Matt C. for too long as we all will be off to Sports Camp next week. I know your campers will be excited to see you tomorrow. They won’t forget the memories made here in Fulton. I hope you and your campers made it home safely. I made it back home and am already back to Sports Camp to get ready for the athletes. We had a great last day. It was definitely hard to say goodbye. After finishing letters, a last general session and many goodbyes and hugs, we all headed out and left Fulton. I hope your athletes had a great experience this week and brought back tons of ideas. I loved spending the week with the athletes and look forward to seeing them again soon! Rachel Antal is a college student, longtime volunteer and member of SOMO’s Youth Activation Council. She attended the Missouri Association of Student Councils summer camp a few weeks ago, along with several SOMO athletes. Samantha Greenough goes to Savannah Middle School and has been helping with our new track team there. She wrote the following after volunteering at the Northwest Area Spring Games April 27. I cried many tears today…many tears of pride, honor, and appreciation. All of the athletes that competed in today’s Special Olympics track meet have touched my heart and made me a better person. I have never felt better helping others than I did today. I appreciate the opportunity SOMO has given me to be able to help the community in a positive way. After being at the track meet for a short period of time, you start not being able to tell the difference between the athletes and the volunteers, then you just feel like one big family. I am so proud of all of the athletes today especially the Savannah athletes that I have gotten extremely close to the past month and a half. I feel honored to have had the privilege to coach these AMAZING athletes. I look forward to volunteering more of my time to the Special Olympics organization. When you walked up to the track you could just feel the love and compassion everyone there has for one another and especially the athletes. Volunteering has helped me strive to be a better person and impact the lives of others. Also, one of the sponsors that I was helping coach told me that in all of her years of coaching she had never had a better, more positive volunteer than me which made me feel even better about what I was doing. I loved getting to work with some truly amazing people and can’t wait to donate more of my time. If you would like to get involved, visit our calendar at http://www.somo.org/calendar or email volunteer@somo.org. March is Spread the word to End the R-word campaign month. 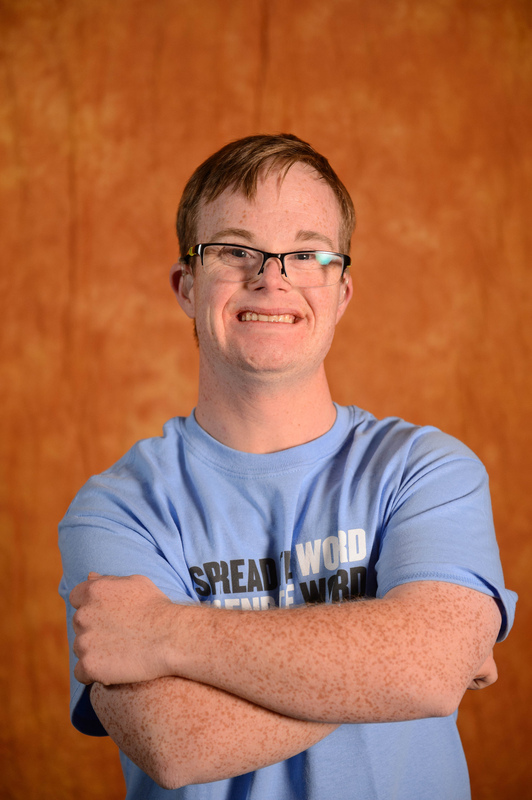 Our youth are leading the R-word movement to address this issue of social injustice. They are standing strong and informing others of the significance in not using the R-word. This movement is encouraging people to make a decision to use respectful language and make a pledge to not use the R-word. Their goal is to generate respect for all individuals; promoting inclusive communities, inclusive employment and a more inclusive world. Shouldn’t every encounter be addressed? If you’ve made the pledge, step up to the challenge and resolve to add your voice to this movement in order to make a difference! It only takes one person! Eunice Kennedy Shriver not only accomplished her dream of promoting dignity through athletic opportunities, but has spread her dream across our world. You can do the same thing in your family, school, clubs, organizations and community. You can make all the difference with the people around you. You can make change but you can also BE the change! You can do so many things to promote change by being motivated, enthusiastic, encouraging, and energetic. Be the change in ending the R-word means you explain to others how hurtful the derogatory use of the word retard is to those with intellectual disabilities. It makes those of us who have an intellectual disability feel inferior, less important, able to do or accomplish less or even unlovable. It’s important to stop putting others down by saying “retard” or “retarded” as if it’s disgusting or the worst thing possible. Take a stand – share with your family, friends or others who use those words that it hurts us. Take a stand to be the change for positive attitudes and changed hearts in your community. Take a stand to be a strong, positive voice! Most people don’t seem to understand how saying words can be so hurtful. When you explain to one person, a friend, a group of people, a club, a class, a school – it spreads!! Just informing others causes a ripple effect. You can share with your friends and they can help promote change with you! If you start a campaign in your school you just have to have a plan that your group of friends and an interested adult can share with your principal or superintendent. If they are concerned you have to listen to what their concerns may be and adjust your plans if possible to make it doable in your school! Listen to them and they’ll listen to you. Use ideas on the R-word website or in the Project UNIFY manual to make sure your campaign has everything it needs to be the best! These ideas can help you come up with plans for your group to propose and accomplish. Stopping the R-word is about respect, dignity, unity, fairness, understanding, inclusion, truth, honor and acceptance. We can all live together by working together; but we have to be a positive person in our community. Everybody deserves to be treated with respect. You might not always understand me or know what I’m talking about, but what I have to share is important. I want to help make good things happen for the people around me. I want to help others get through school, get along with others, get a meaningful job, live as independently as they can and give to their community! One can make HUGE changes for many others. Be the one working for positive change. BE THE CHANGE in your community! Jared Niemeyer is a SOMO athlete who lives in Kirksville. He serves on the national Youth Activation Committee, a group of young people from across the country who work together to promote school communities where all young people are agents of change. I grew up in a loving family with a Special Olympics athlete. My brother, a National Games gold medalist, has taught me many valuable life lessons even though he is 12 years younger than me. As we grew up, he could make me laugh when I was down, smile when I really wanted to throw objects in anger, and to love everyone without a thought with how they may look, act or behave. I wish I could make friends as easily as he could, but he did teach me a few tricks. I have tried to teach my students the same lessons that he taught me. The majority of the teachers and students that I work with unfortunately have not experienced life as I have growing up with my brother. I have seen teachers fight inclusion of special education students stating that it makes too much work. I have observed students make fun of others, and many times it is the students who are not as talented or “different” than others. I do not stand by and watch, but provide learning moments. A teacher can’t be everywhere at once, so many of these learning moments are missed and students are hurt. I attempt to teach my sixth grade students acceptance weekly through class meeting utilizing the Special Olympics “Get Into It” curriculum. These activities are to educate, motivate, and activate students to make a difference in their classroom, school, and community. Project UNIFY also sponsors Spread the Word to End the Word. My building spends one week during the year emphasizing the use of positive words instead of the hurtful r-word. Each of the eight teams is responsible for a school-wide presentation during morning broadcasts. Each individual is given an opportunity to sign the banner pledging not to use the r-word. Once the week is complete, I then refer back to it quite often. You can make the pledge yourself and find out more information at http://www.r-word.org . Once again, it is activities, not lectures, that make the students think of others in a more positive manner. Technology has been a tool in which to get other teachers and students involved in the district. An email to Student Council advisors and A+ coordinators brings volunteers to my practices. 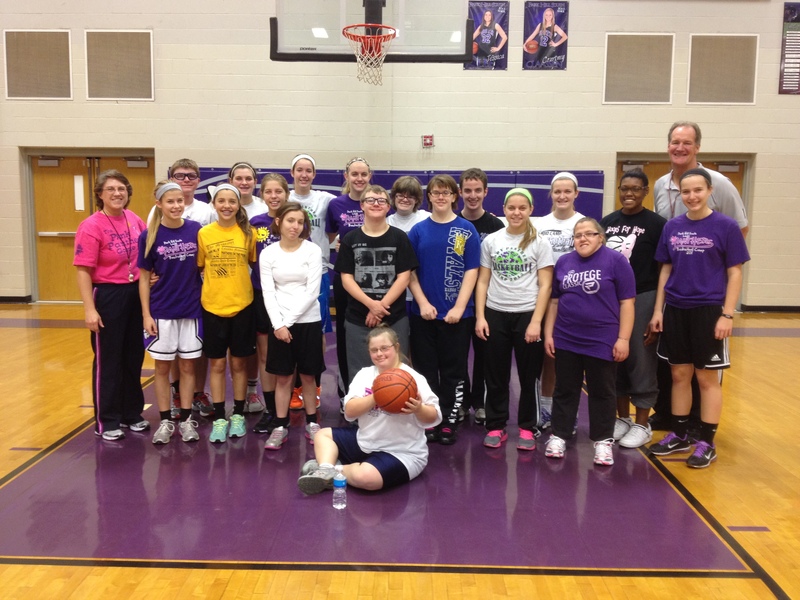 Some of these volunteers become Unified Partners with the two high school Unified basketball teams. Many still want to volunteer even after they have completed their community service hours and as they say they are hooked for life. I have had students walk by our practice, ask what is going on, and then ask if they could help. They are still helping six years later. An email to the basketball coaches and we have a clinic set up for the athletes. Students spread the word to help keep our program moving in the right direction. The life lessons that my brother taught me many years ago are hopefully being transferred to the many students that I touch today. Linda Wiederholt is a teacher at Plaza 6th Grade Center in the Park Hill School District. She is also a coach and volunteer for SOMO’s KC Metro Area.